Andre Gerard Coudrain, a New Orleans native, received a Bachelor of Arts degree in Government from Southeastern Louisiana University in Hammond in 1979 where he was elected President of the Student Government Association and was named Outstanding Male Student in the 1979-80 academic year. During that same year he was also elected Student Member to the Board of Trustees for State Colleges and Universities in Louisiana, the management board for ten Colleges and Universities in Louisiana (now the Board of Supervisors for the University of Louisiana System). While attending Southeastern, Andre was also elected SGA Vice-President, served as chairman of the SGA Election Board, President of Circle K and served on numerous University committees. After attending graduate school at Southeastern, he attended Loyola University Law School in New Orleans where he earned a Juris Doctorate degree in 1983. He was admitted to practice law in Louisiana in 1983. Andre has served as the City Attorney for the City of Hammond since 2003. In this position, he is the chief legal advisor to the Mayor, City Council and all City Boards and Commissions. He also maintains a private practice of general civil law in Hammond, Louisiana focusing on business, successions and commercial areas of law. Andre served on the Board of Supervisors of the University of Louisiana System from 1996 to 2014 under appointment by former Louisiana Governors Murphy “Mike” Foster and Bobby Jindal. During his years of service on the Board he served as Chairman of the Board, Vice-Chairman of the Board, Chairman of the Finance Committee, Chairman of the Legislation Committee and Chairman of the Academic and Student Affairs Committee. Andre has served on the School Board for all of the Catholic schools in the Diocese of Baton Rouge from 1999-2005 and currently serves as President of the School Board of St. Thomas Aquinas Regional High School. He has been accepted as a Life Member of the National Registry of Who’s Who Published in the 2000 Edition. Andre has received numerous awards and recognitions. In 2015 he was named a Golden Ambassador by Southeastern Louisiana University which is one of the highest honors offered by the University and recognizes service, achievement, and humanitarian efforts. In 2016 he was awarded a Legion of Honor for his thirty years of membership in the Hammond Kiwanis Club. In 2007 he was awarded the Hammond Mayor’s Gold award for his years of service to Louisiana Special Olympics, after serving as Chairman and on the Board of Directors and a volunteer for many years. In 2002 he was named Distinguished Alumnus of the College of Arts and Sciences at Southeastern, Hammond Man of the Year in 2003 by the Junior Auxiliary and currently serves as a trustee of Holy Ghost Catholic Church Parish where he is also a member of the Parish Finance Council and lector. Andre is a member of the American Bar Association, the Louisiana Bar Association, the 21st Judicial District Bar Association and the Louisiana Bankers Association/Bank Counsel Section. He is a Fellow of the Louisiana Bar Foundation and a founding member of the Inns of Court for the 21st Judicial District Court. He is a member of the Hammond Kiwanis club, the Honor Society of Phi Kappa Phi at Southeastern and a probation monitor in the Office of the Disciplinary Counsel of the Louisiana State Bar Association. 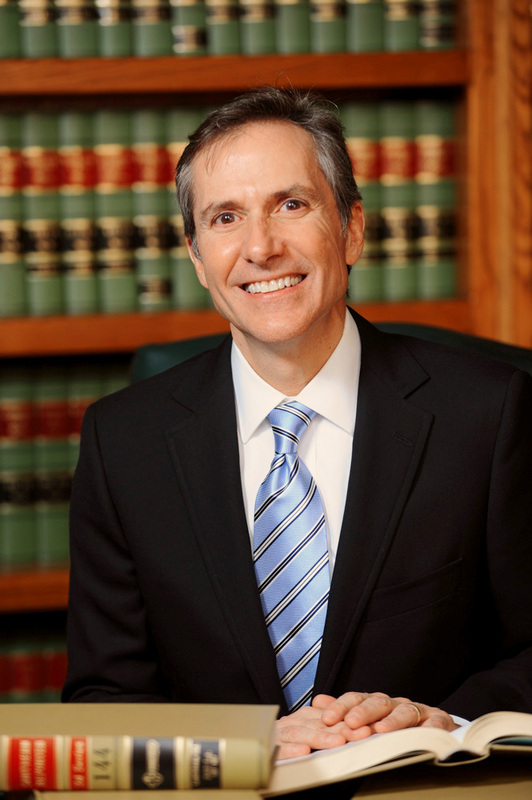 Andre is admitted to practice law in all Louisiana state courts and the U.S. District Courts of the Middle, Eastern, and Western Districts of Louisiana, the U.S Fifth Circuit Court of Appeal and the U.S. District Court for the Northern District of Texas. Andre holds a Peer Review standing of ‘AV Preeminent’, the highest possible review classification determined by reviews from others in the legal community and as listed in the The LexisNexis Martindale-Hubbell Attorney Directory.